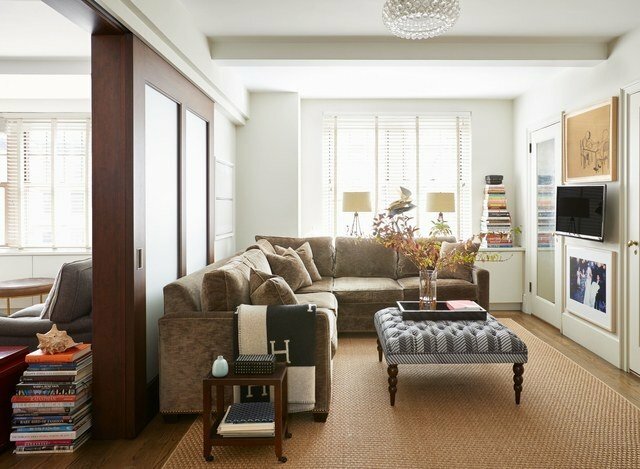 The average living room is around 13 feet long by 10 feet wide, but how you lay it out really depends on how you use it. To start, there are some general rules of thumb to consider, regardless of use. 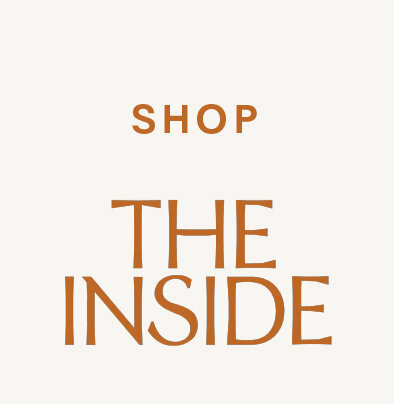 Read on to find out how to begin. 1. Always opt for the largest rug you can fit. 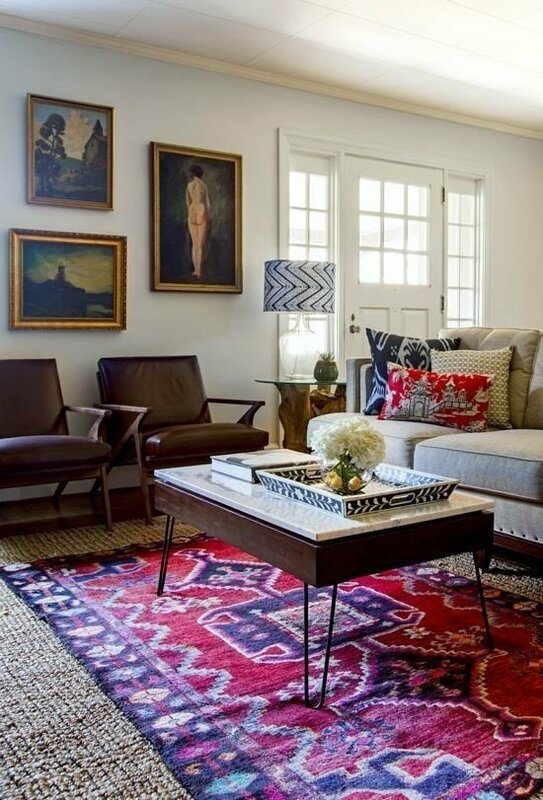 Large rugs ground your furniture and make the room feel bigger. For a 13' x 10' living room, I recommend a 9' x 12' rug. It's a standard size, so you'll have no problem finding one. Rugs can be expensive, so if you're on a tight budget, I recommend a sisal rug. It's neutral and works with a variety of styles; plus, you can always layer a softer, smaller rug on top. 2. Make sure to have multiple different light sources. 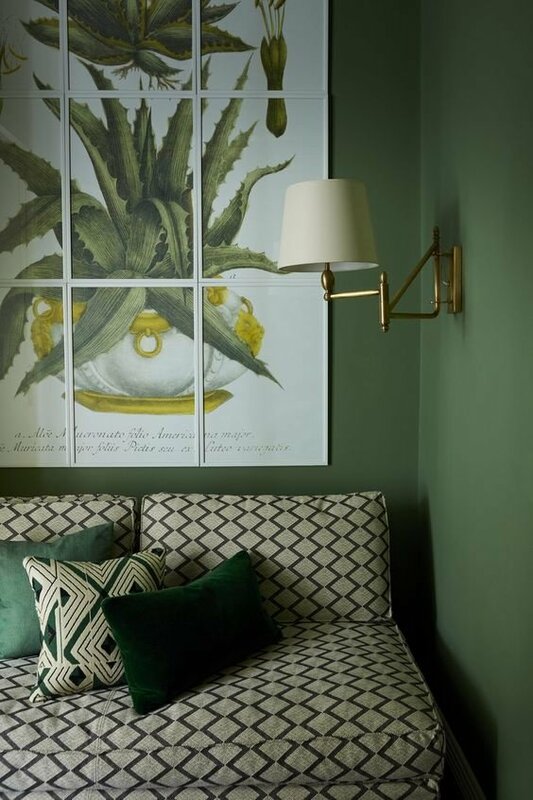 Usually a combination of a ceiling fixture, table lamps, and a floor lamp works well, but wall sconces also add a bit of visual intrigue and can be very functional. 3. Set up key vignettes. Think about your living room as the backdrop of your life and make sure to set up a handful of beautifully composed pairings of furniture, objects, and art. 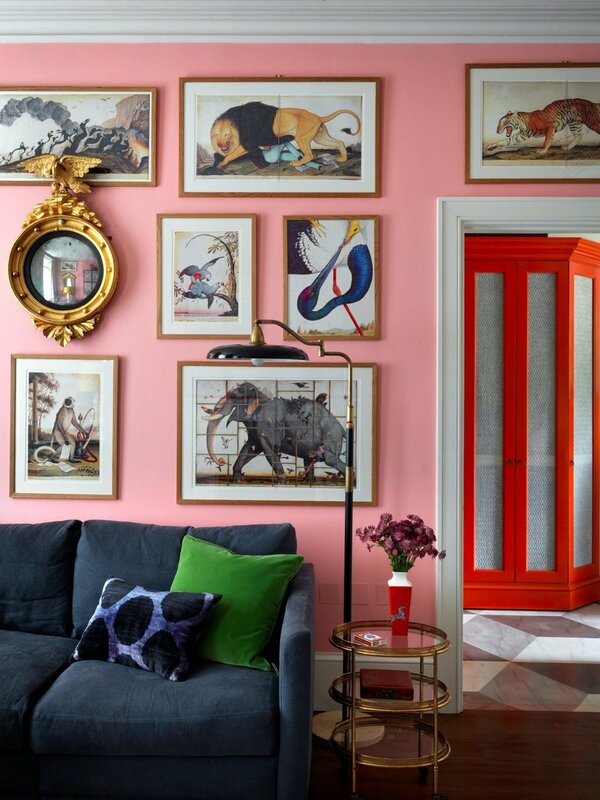 This styling could be as simple as a great piece of artwork above your sofa or as detailed as a large, layered gallery wall. 4. Stick to a color palette and don't be afraid of pattern. It's easier to do when you're starting from scratch; often, however, we are starting with pieces we already own. You can make everything —old and new— come together by sticking to a unified color palette, starting with paint and ending with the last few throw pillows. Pattern is a great way to bring multiple colors together. 5. Be authentic to how you live. It's easy to get lost down the Pinterest rabbit hole of aspirational living. When laying out your living room, consider how you actually live and bring in the aspirational impulse through decoration. Most of us only have one living room, so you have to get it right for everyday life! 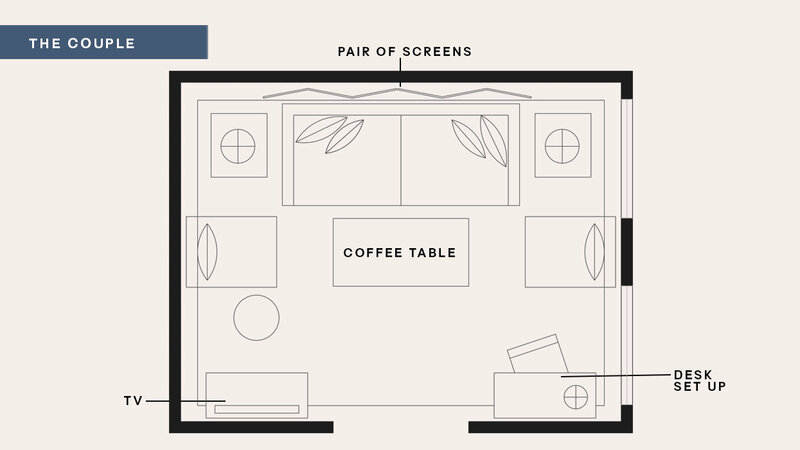 Now that you know the rules, let's see how a 13' x 10' living room can work for everyone. For the person who thinks a good living room is really about living, this one is for you. You'll notice there's no TV. 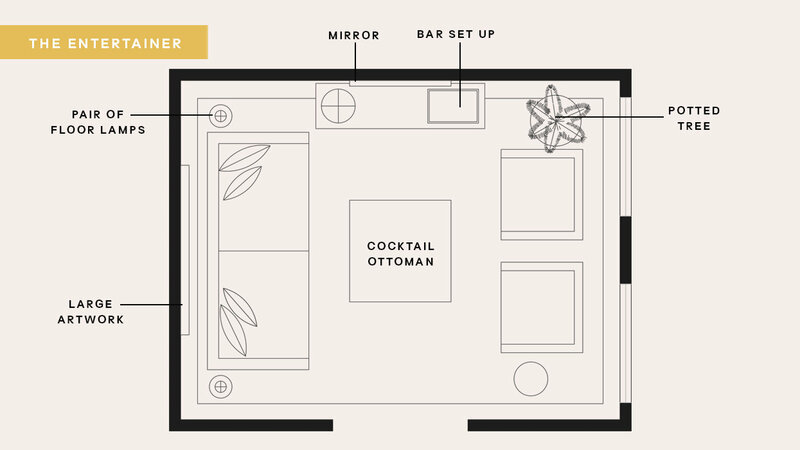 Instead, this layout calls for cocktails and conversation. An 84" long sofa is paired with a cocktail ottoman that doubles as surface and footrest, and a pair of tuxedo chairs invite guests to hang out in for a while. Who's to say you can't use your living room to watch TV? This is YOUR space, so if binge watching the latest mini-series is your thing, go for it. And just because cinema is your life, doesn't mean you don't have a massive art and book collection. This plan utilizes a large credenza as a way to ground your larger-than-life television AND stack tons of art books. Also, by placing a luxurious sectional against the window wall (opt for a modern and low design, so you don't block the view), this arrangement frees up the main 13' long wall for artwork (try hanging art from floor to ceiling for a dramatic effect). 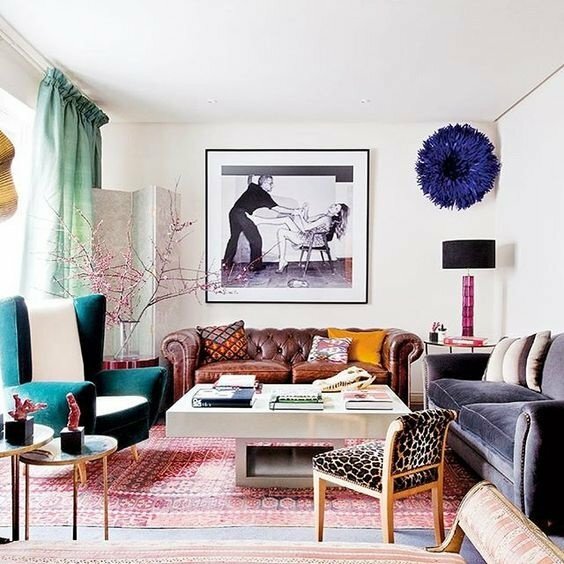 Also, rethink the coffee table and try a a pair of square poufs for versatility and ease. Let's say the living room is more of a multipurpose moment for you — TV watching, entertaining, working from home. Try making the sofa the main attraction and designing around it. 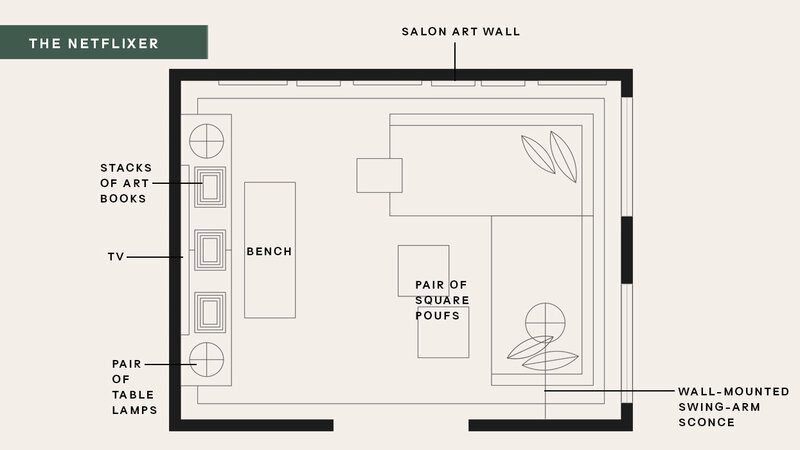 In this plan, you have many comfortable places for people to sit (including a pair of slipper chairs), a spot for easy TV-watching, and a small writing table for working from home. In this plan, use a pair of folding screens to create an artful and three-dimensional backdrop.